A medical biller is responsible for submitting medical claims to insurance companies and payers such as Medicare and Medicaid. It is a position that is critical for the financial cycle of all health care providers, from single-provider practices through large medical centers. It requires attention to detail and experience with the electronic and paper systems used in medical billing. If you are interested in medical billing as a career, you can explore the elements often found in a job description for the position below. If you are updating or writing a job description for the position, you can use the elements below and modify them as is appropriate for your facility. You may also be interested in learning about the expected salary as well as employment outlook for a medical biller. In essence, a medical biller is responsible for the timely submission of technical or professional medical claims to insurance companies. The position may be located in physician offices, hospitals, nursing homes, or other healthcare facilities. The amount of education and experience an employer requires will vary depending on the complexity of the job and need. A minimum work experience is often preferred, but everyone needs to begin somewhere. Don't let a minimum number of years of job experience deter you if you feel you have been properly trained to fulfill all potential duties at a particular job. Knowledge of business and accounting processes usually obtained from an associate's degree, with a degree in Business Administration, Accounting, or Health Care Administration preferred. A minimum of one to three years of experience in a medical office setting. A potential employer will want to see you demonstrate knowledge, skills, and abilities in a number of areas. 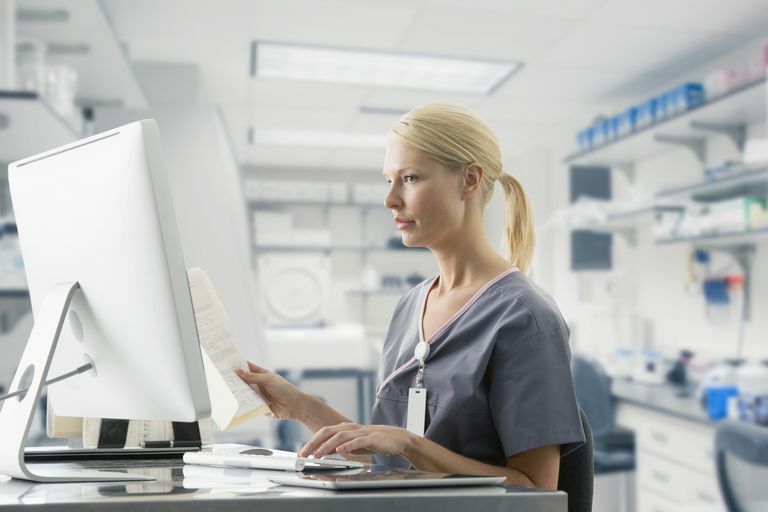 You will likely be asked about these in an interview, and your potential employer will ask what skills you've used in any previous jobs as a medical biller. Knowledge of insurance guidelines including HMO/PPO, Medicare, Medicaid, and other payer requirements and systems. Competent use of computer systems, software, and 10 key calculators. Familiarity with CPT and ICD-10 Coding. Effective communication abilities for phone contacts with insurance payers to resolve issues. Customer service skills for interacting with patients regarding medical claims and payments, including communicating with patients and family members of diverse ages and backgrounds. Ability to work well in a team environment. Being able to triage priorities, delegate tasks if needed, and handle conflict in a reasonable fashion. Problem-solving skills to research and resolve discrepancies, denials, appeals, collections. A calm manner and patience working with either patients or insurers during this process. Maintaining patient confidentiality as per the Health Insurance Portability and Accountability Act of 1996 (HIPAA). The median salary for medical biller was $33,217 in 2017, with a range of roughly 25,000 to 44,000 depending on individual performance, years of experience, education, and job location. The salary can also vary by setting, whether a small individual practice, a group practice, nursing home or a larger medical center. This translates to an hourly rate ranging from $11.70 to $20.26 per hour. Some jobs also offer bonuses or profit sharing. The outlook for employment as a medical biller is very good, with demand expected to increase 21 percent from 2017 to 2020. United States Bureau of Labor Statistics. Occupational Outlook Handbook. Medical Records and Health Information Technicians. Updated 10/24/17.